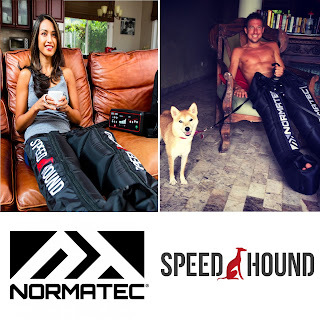 I am sure after a long winter on the trainer that you are itching to get back on the road and do some real riding. While nothing can compare with the feeling of riding outdoors, you should plan on doing some trainer workouts all year long. #1 - No need to worry about weather. #2 - No need to worry about daylight. #3 - No need to plan and carry nutrition. #4 - No worries about crashing, or worse, getting hit by a car. #5 - No flat tires. #6 - No "bonking" in the middle of nowhere. #7 - Tend to be more focused on the exact workout while on the trainer then just riding. #8 - More consistent experience / it's repeatable. All of these benefits result in better time efficiency and that allows you more time to train and to ultimately become a better athlete. 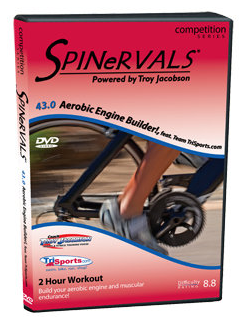 Spinervals 42.0 - Quads on Fire - Workout designed to boost FTP thru increased lactate threshold and power output. 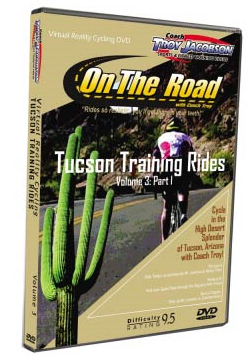 On The Road 3.0 Virtual Reality Cycling - Tucson Training Rides - Features Mt Lemmon & Gates Pass Ride.